There are some who view video games as existing in a vacuum. To them, escapism is the highest function of entertainment–free from worrisome dialogues about art, ontology, and the consequences of their onscreen actions, they perceive their hobby as beyond culture rather than a product of it. This is a perspective that absolves and diminishes in equal measure and, when set as the standard, squanders the potential of communication through games. Whether we see it or not, the mirror is there. For a while I’ve wanted to discuss the music in and around video games–hence, music month–and I figured there is no better place to start than with licensed music. I’ve hinted at the utility of licensed music before, but here I’m going to briefly discuss how, as it does in other mediums, popular music in video games can create a dialogue between the virtual world and our own. Beyond acting as motivator, character trait, or stage setter, the following sequences remind us that intertextuality is another tool at the developer’s disposal; what follows is in some form a celebration of those who use it right. Put on your red shoes – let’s dance. Recently, the excellent Hotline Miami put the ubiquitous apparition of 80’s nostalgia to good use, sending chillwave to the grave shared by VHS and the color fuchsia. 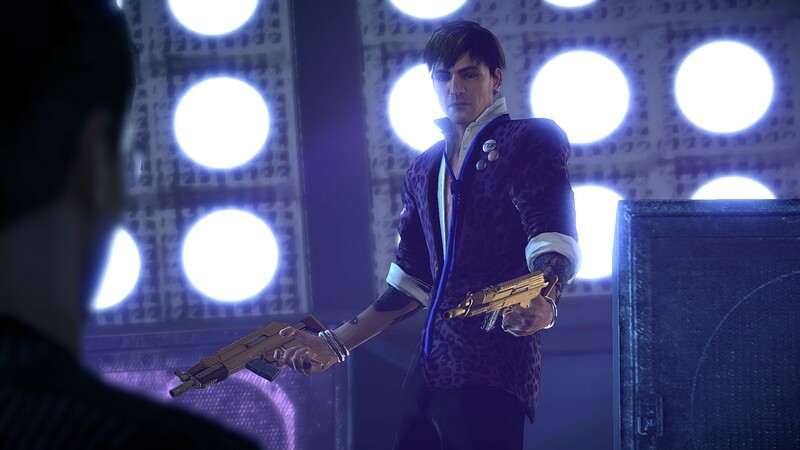 In Alpha Protocol, Obsidian went straight to the source by using hair metal band Autograph’s “Turn Up the Radio” in a battle best described as revelatory. * Even the least attentive player can infer the reasoning behind its inclusion: as Thorton sneaks and shoots through Brayko’s mansion, we witness the gaudiness of zebra-print carpets and Warhol inspired portraits, not to mention a heavily guarded collection of ancient arcade games. The lavish set-pieces effectively foreshadow Brayko’s character, who is first seen rising from a stage to the percussive stomp of the song’s introduction. Like the signifiers before it, Obsidian’s use of “Turn Up the Radio” points towards the realization of a specific era. More than a referent to 80’s maximalism, however, the song is evidence of the detail Brayko put into manufacturing a specific vibe in his mansion, his ridiculous outfit, and his confrontations. The entire level is Brayko, and the song–which espouses the same levels of excess as the villain himself–is no different. The benefits are twofold: the developer’s level design mirrors the rather telling home decor, and players are able to perceive the reality of a character through power chords and disco balls. As a whole, Alpha Protocol‘s world building consists of shamelessly performing the best and worst traits of its respective genre; by forgoing an original song that would have missed out on Autograph’s cultural history, Obsidian allows Brayko to do the same. As a bonus, it makes a great accompaniment to a fight. I guess every superhero need his theme music. As with Brayko’s character development, it is hard to imagine Saint’s Row: the Third existing without Kanye West’s “Power.” No one knows this quite as well as Volition, who used it in promotional videos, in-game radio stations, and as background music to an entire mission. ** What’s striking about the song is its near-perfect encapsulation of the game’s themes of dominating celebrity, egomania, and, well, power. The parallels might not be there line-for-line, but to have an entire game influenced so heavily by a single song is a testament to culture’s effect on the creative process and our response to it as players. In the particular context of the mission, the song is a perfect fit: the player is crashing a party while simultaneously taking over turf as part of a power grab. The contradictions of Kanye’s persona are there, and the rush you feel during that initial drop is real. It can be argued that Volition’s efforts don’t add anything new to the dialogues inherent to their musical choices, but the emphasis on the song shows how effective a narrative can be when applied to other stories, other mediums. 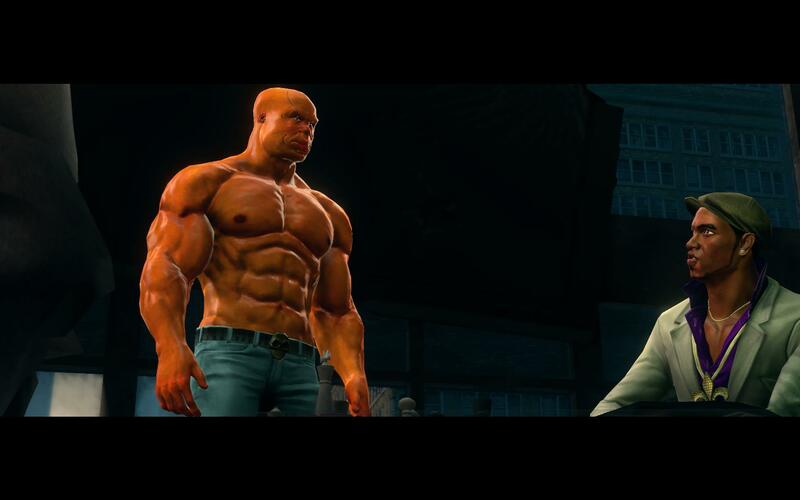 In Saint’s Row: the Third, “Power” moves well beyond a simple reference–it channels a zeitgeist. The above examples are hardly indicative of the whole of licensed music’s capability. Somewhere out there is a a close reading of Roy Orbison’s “In Dreams” which ties the song to Alan Wake‘s wavering reality, or a reader response showing how “Big Iron” made New Vegas possible. Games such as the Grand Theft Auto series deserve their own recognition for allowing the player to enjoy late night drives in San Andreas with the same music they’d hear in their own cars. Rather, these instances show how developers can use highly specific motifs and concepts from other mediums as a springboard for their own creations. They also give us hope for future games to be so packed with ideas that the developers couldn’t possibly have thought of them all. Escapism is one way of channeling video games, though it is one of many. As for me, I am delighted when games bleed into my outer life–and just as excited when pieces of my world bleed into games. *In a previous post I said that it was too good to ruin with possible spoilers. I suppose I’ve changed my mind. **I can’t imagine this costing anything less than a fortune. It’s Kanye. This entry was posted in Music Month and tagged alpha protocol, kanye west, Saint's Row, video games. Bookmark the permalink.